Here’s how you install WordPress. We covered the domain and web hosting setup in the last post. 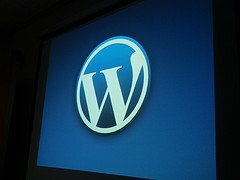 Today we’ll see how to install WordPress on a web hosting account. Let’s get started. An FTP client of your choice. A text editor like editplus3, notepad++ or any one that you prefer. Download WordPress: Download the latest version of WordPress from wordpress.org > Download and save it on your desktop. Extract & Upload: Extract the downloaded files on your computer and upload them to your hosting account using FTP. Copy the files to the intended location on web server or you can even place them in root of your domain. Log in to your cPanel and locate Database section. Look for Create New Database in the resulting window, enter the database name and click Create Database. Now we’ll have to add a MySQL user credentials to this database which will be used by the WordPress to read and write the database. Scroll down and search for Add User to database. Select a user or create a new one. Select All Privileges and click Add to provide the privileges to that user to the database. Note the database name, username and password you used to create the MySQL user. Open browser window and enter the URL of your website in the address bar. You must now see the WordPress configuration screen (possibly mentioning that a configuration file needs to be created). The resulting window will prompt you to configure WordPress settings, click Configure > Let’s go. Enter your site Database Name, Username and Password. Leave database host and table prefix to default. On the next screen configure the details like the site’s title etc, the admin username and password. Click Submit and then Login.